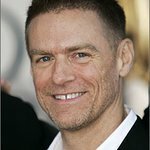 The Bryan Adams Foundation was set up in 2006 by the musician and photographer Bryan Adams, in order to improve the quality of people’s lives around the world. The Foundation aims to achieve this by providing financial help and support to those people who are committed to bettering the lives of other people, by providing grants to finance specific projects. The Foundation seeks to protect the most vulnerable or disadvantaged individuals in society. It aims particularly to advance education and learning opportunities for children and young people worldwide, believing that an education is the best gift that a child can be given. The Foundation’s area of support is broad and far-reaching, enabling grants to be given for projects supporting the elderly, victims of war and natural disasters, and those suffering from mental or physical illness. Google trends for "Bryan Adams Foundation"
We don't have any videos related to Bryan Adams Foundation.